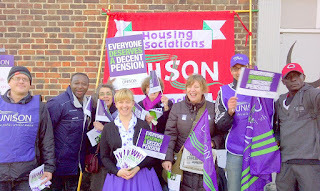 Video from UNISON Housing Association Branch picket and lobby in Islington yesterday. Check out the formal report on the branch and regional strike here. Sarah is our Branch Finance Officer and a champion Jiver and instructor. It was I think a useful "stunt" to capture people attentions. Shame I am am quite so useless at it! I had all the placards, banners, flags and leaflets etc at home, so I took a minicab this morning at 6.30am to the picket and lobby at Islington. 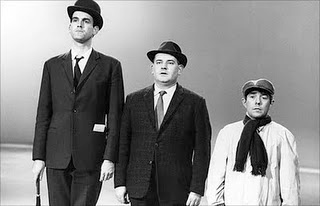 It was a relief to see that there was 3 branch members waiting for me on site at 7am. We then spent the next couple of hours busy setting things up. The concourse outside the Highbury and Islington Underground station and the traffic island is very busy and high profile. We put placards, balloons and flags on railings, trees and street furniture. While leafleting and talking to the public. There was an overwhelmingly positive reaction from commuters and passersbyes. A few idiotic comments but so few as to be remarked upon. Unite members who were not on strike had taken leave in order to take part. Journalists from the "Morning Star" and "Inside Housing" came to visit and interview us. As well as a Swiss journalist. We had "Jiving for decent pensions" lessons given free to pickets by Sarah, our branch finance officer, who is a Jiving Dancing champion and instructor (see next post). I was the only one who didn't mind the lessons being filmed despite me being completely rubbish at jiving! There was also a successful branch picket outside Gem House in Aldgate. Next some of us went to the local Islington rally outside the Town Hall, while I went to meet Gloria Hanson, the UNISON regional Convenor in Holburn. We took part with branch members in the march through central London. At the Rally in Victoria Embankment, Gloria was a speaker to the estimated 30,000 crowd. Afterwards we joined the UNISON picket line outside St Thomas Hospital which went on until 6pm. We had a little break to see a guest off but returned to the picket line later until it finished. Then a quick beer (or three) and home. I'll post futher pics on the Strike day later. Completely knackered but it was a really good day. 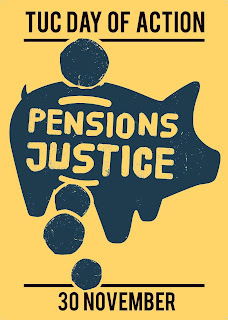 I hope you-know-who-you-are: are listerning and will have the decency to give us pension justice. Go on - surprise us. Some UNISON members may not even be in a pension now but one day they will want to belong to a scheme that is secure, affordable and will look after them and their family. The existing public service pensions are benchmarks for all schemes. Unless we win this fight then everyone’s future will be at risk. Members ask themselves “do they want to end their lives living in poverty? Never forget that not a penny of the money that ministers are trying to take from pension schemes will go towards improving them, instead it will simply all go to the Treasury to pay for the excesses of the bankers. Colleagues on the picket lines and lobbies will be handing out leaflets to non-union staff and members of the public explaining why UNISON members are taking action. It is expected that all schools will be closed. 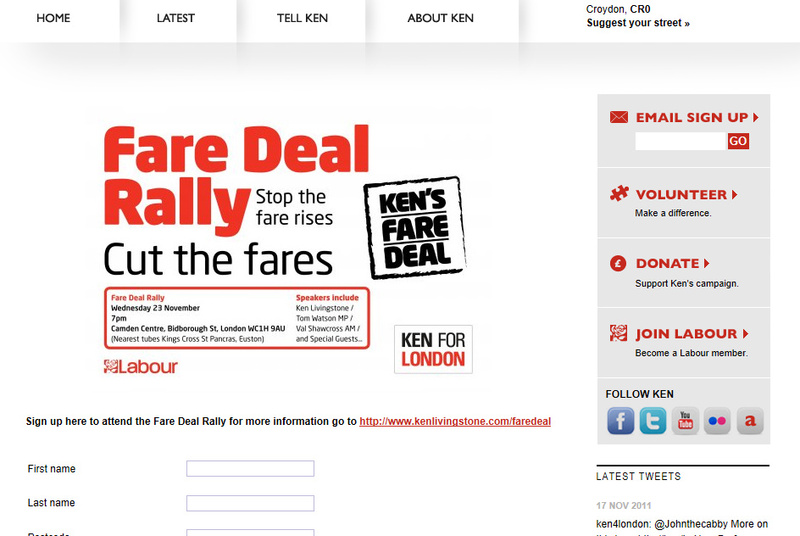 · TUC regional rally, assemble from 12 noon Lincolns Inn Fields, march 1.00pm to rally 2pm at Victoria Embankment, SW1. At last night's meeting of Newham Labour Group the following statement was agreed unanimously. "We are proud of our Council staff who work extremely hard to deliver the high-quality services that our residents value, despite the savage and unprecedented cuts being imposed by this Tory-led Government. At the same time, the pensions of Council staff in Newham and across the country are also under attack. 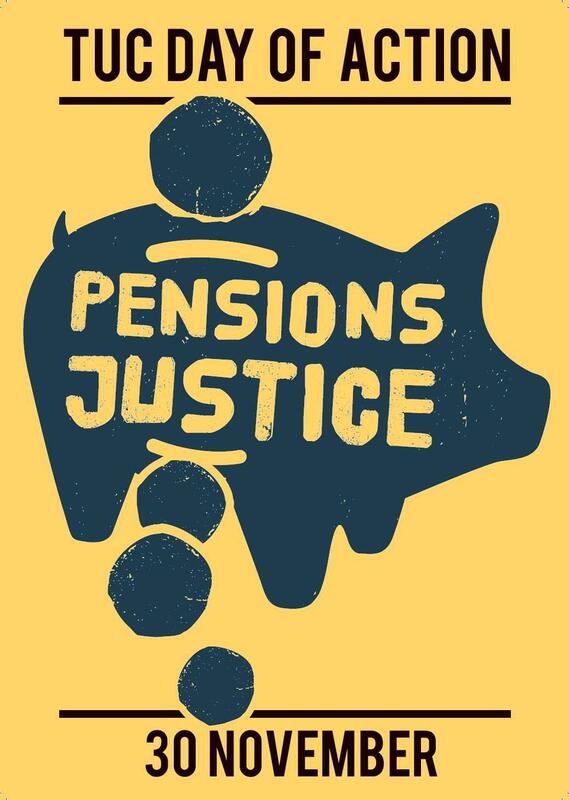 Trade union members have a legitimate right to take action in defence of their hard earned pension rights, many of whom are low paid and cannot afford the proposed reform of public sector pensions. We understand and share the anger felt by Council workers towards the Tory-led government's attack on their pensions and we sympathise with Newham residents who will lose out through the disruption to vital services as a result of strike action against this Tory-led government." It is already existing Council Policy to oppose the attempt the wreck the local government pension scheme. See here and here. Picture from the TUC March in March. This was the Newham assembly point outside Stratford Station. East Ham Labour MP Stephen Timms, Newham Labour Mayor Sir Robin Wales and members of the Labour Group, with trade unionists and Party members. I felt stronger this week. Running every day (no rest day in programme?). 45 Minute Fartlek on Wednesday but main run was for 40 minutes on Sunday. I ran along back streets to Forest Lane Park, E7. Which is a hidden Newham gem. It use to be the site of Wood Grange Manor. The home of the Quaker Banker, Samuel Gurney (see West Ham Park). Who gave the land to the local workhouse who built on site the Forest Gate Industrial School (see above). Over 600 young boys from Whitechapel, Poplar and Hackney "Poor Law" unions lived here. 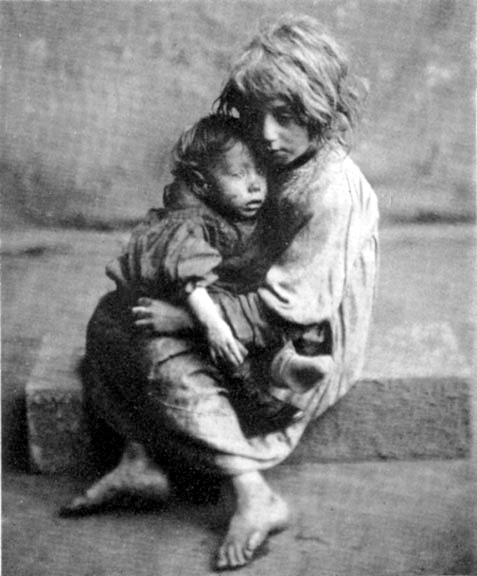 A "Oliver Twist" style institution where in 1890 - 26 boys were killed in a fire. Many of them died locked in barrack like dormitories. Shocking. The school later became Forest Gate Maternity Hospital. In 1940 during the Second World War it was bombed and badly damaged. Nowadays only the facade remains and the main building is divided into private flats. The nature park to the rear is well worth a visit. I next ran towards the new Newham shopping centre at Westfield’s, past the excellent pub The "Railway Tavern". There is a complicated path which eventually takes you to the front of the shopping centre and bus station. I then ran back over the "bridge" and back home past the Cart and Horses pub (the first ever venue for heavy metal band Iron Maiden) thorough Maryland and then a straight run along Forest Lane towards home. 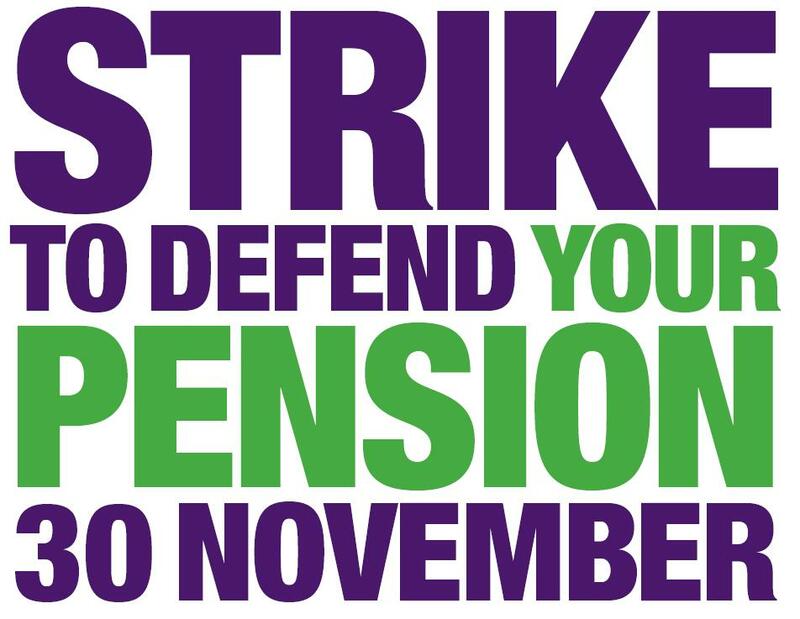 Weird and wonderful YouTube video from Barnet UNISON (as always) on the public service strike to save pensions next week. I don't recognise the first clip and I am not a great fan of Star Wars (but I have a view on the "dark side"). The rest of the clips are great. So lets work together for a wonderful life after N30 :) I am certainly proud to be in a union. Last Sunday I went for a walk in Essex starting in Takeley. A few miles into the walk in the tiny hamlet of Helmans Cross, Great Canfield I came across a "Parish Stocks" and "whipping post". Which was vaguely interesting. What was more unusual was that this idyllic rural country crossroad was where Elizabeth Abbot was burnt to death as a witch in 1683. It is pretty shocking to think that just over 300 years ago that we were murdering people by burning them alive for being "witches". The vast majority were of course not a witch but were mentally ill, or had fallen out with their neighbours or were just different. I've tried to google and get more information about Elizabeth and what happened but apart from this I can find nothing. I find it incredible that supposedly reputable solicitors are cold calling employers that are facing pension strike action next week, claiming that due to trivial balloting irregularities, they could claim damages against unions and that they can then discipline their staff. Now I can understand that if solicitors are contacted by their clients for advice they would have to give the appropriate legal guidance. Every employer knows that due to the anti-trade union laws in this country it makes it possible to challenge perfectly legitimate disputes. 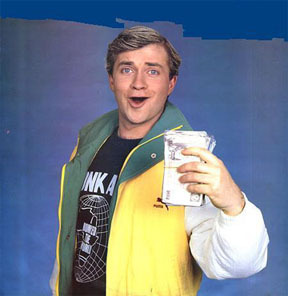 What we have here are solicitors who claim on their web site to be committed to always acting in a “Socially Responsible Manner” touting for fees. Exploiting procedures to try and discipline (and I assume) sack ordinary workers striking to save their pensions. Apart from the morals or the ethics of trying to get people sacked for exercising their human right to withdraw their labour, you have to question the judgement of such people who think they can make a quick buck out of other people’s misery. When I look at their list of clients I recognise a number of employers who I know will be shocked at what they are trying to do. I can only hope that they immediately review whether or not such people are fit and proper to advise them and that they take appropriate action. This doesn’t let the Labour Party off the hook either. You can argue the pros and cons of whether there is the right balance in legislation over industrial disputes (and you can guess my view) but what is indefensible and simply wrong is that the last government did little or nothing to stop minor and petty procedural issues being raised to stop legitimate action and to potentially sack people. Faced with such disgusting behaviour motivated only by fat fees and commissions for already rich and highly paid people is it no wonder that so many young people despise our current political system. They think that the injustice is such that it legitimises carrying out direct action and occupations. Picture of Labour Mayor Candidate Ken Livingston at the Fare Deal rally in Camden on Wednesday. Well done to Ken and the Party team for holding a successful, packed, standing room only rally 7 months before the GLA election. Below is based on some of the tweets I made during the rally. Ken on stage to standing applause. 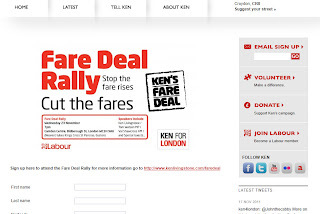 Wishes 5% cut in fares was more. But unlike Tories we will not say anything we can't deliver. At end of his 8 years as mayor bus fares cut 9% real terms and underground only rose 1.4%...don't cap Housing benefit: Cap rents...Boris should declare an interest in his call for top tax cuts. He would have to pay £25k less...First time that young people in England face a worse standard of living than their parents....Build a machine to deliver defeat to Boris and send a message we want a wholly different society. to the UNISON Community Conference next year. This conference notes the gross inequality in pay at many Housing Associations. “Inside Housing” reports that 58 Chief Executives earn more than the Prime Minster, while the highest earner, Jane Ashcroft of Anchor (established in 1968 by “Help the Aged”) received £331,250 - up 14 per cent on last year. At the same time many workers in the sector existed on the minimum wage rate of just £5.93 per hour. This means that the most highly paid Executive got £26,605 per month while many of the lowest paid got just £949. This is nearly 30 times more. That Housing Associations should recognise that internal income inequality is as bad for its workers and residents as it is for the wider society. It is corrosive, divisive and destructive. Profiteering for the few threatens the raison d’être for the entire sector. It results in poor staff morale and industrial relations, mistrust from residents and a reputational political risk to the whole sector. If Housing Associations believe that they need to reduce their cost base to compete for contracts they should firstly cut the pay of their Senior Management Team. We support the recommendations of the Hutton report on Fair Pay that “every public body should annually publish the multiple of top to median pay in a clear and presentable way” and that employee representatives should be on the Executive Remuneration Committees. Our Service Group Executive to campaign for greater Income Equality, using the press and media, working with the National Housing Federation if possible, and lobbying Government. To request Labour Link campaigns for statutory regulation of pay multiples in Housing Association’s, increased public spending to combat poverty and fair progressive levels of income taxation. 2nd branch press release on Family Mosaic. "UNISON is to immediately conduct an indicative ballot of its members at Family Mosaic over possible strike action. The move is in response to Family Mosaic’s proposal to cut the pay of its support staff and increase the working hours of its entire 1,500 front line staff based in Essex and London. 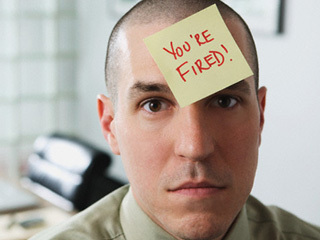 Staff members who do not agree to the changes face being dismissed. There is considerable disquiet amongst Family Mosaic staff who state that senior management will not face similar changes to their pay and conditions. The union will also be providing its members with legal advice in response to the employer’s threats to dismiss staff. 1. UNISON’s represents over 60,000 members in the Community and Voluntary sector. 2. Family Mosaic own and manage 23,000 properties across, 27 London Boroughs and in Essex. It has a significant Supported Housing business providing nursing, care and support services to around 4,000 people. 3. Family Mosaic’s operating surplus rose from 19% in 2009/10 to 26% in 2010/11. The Group’s net surplus increase to £34 million in 2010/11, a rise of 4% on the previous year. 4. In July 2011, Family Mosaic finalised the purchase of Hyde Housing’s £14 million-turnover subsidiary, In Touch, which provides services to 4,200 people and includes 120 contracts. Toughest session of week was the “jog for 10 mins, run for 5 mins, jog for 10. Then train at maximum effort for 45 secs, walk for 3 minutes and repeat 8 times”. It wasn’t as bad as I expected since a 45 sec sprint is a damn sight easier than 60 or 75 secs. I actually enjoyed this session and felt tired but exhilarated afterwards. Best run of the week was around West Ham Park on Sunday. Warm up jog through Forest Gate along Woodgrange Road, past the Siam Cafe (the best Thai restaurant ever), then along the back streets to Romford Road. Very misty but warm for time of year. West Ham Park has been owned and managed by the City of London since 1874. It is also the largest park in Newham. While I would prefer that it was run by a more accountable public body I have to admit that it looked after well by the Corporation and its staff. The park use to be owned by the Gurney Family. By coincidence they were mentioned on The Today programme this morning as a 19th Century Quaker Banking family who took their social responsibilities seriously unlike modern day financiers. All of the Park lies within my Council Ward of West Ham. I would recommend a walk around the park and the seven acre ornamental garden in particular. The 30 minute run around the park and back home went really well. I am beginning to feel quite strong running (not jogging) for this period of time. Let's Work Together to get public service workers to No1! "The Workers are a group of 14 public service staff from around the country, who've come together to record the classic song 'Let's Work Together'. Please help get some solidarity into the charts ahead of the day of action on 30 November by watching the video, buying the song, and spreading the word. Public service workers are under a lot of strain - Job losses are happening at an even higher rate than in the private sector, and government cuts mean more people are needing to fall back on our public services in a time of need - putting more strain on fewer staff. Added to this, the government are planning to drastically cut their pensions, and make people work much longer and pay much more into the bargain. This will mean many low paid staff unable to afford to contribute to any pensions provision at all - a race to the bottom that will do nothing to help pensions under attack in the private sector too. Public sector unions are staging a day of action on 30 November, to highlight the problem, with events happening all over the country. It would really set the mood music for the day to have a song in the charts when it happens, so we're backing The Workers to raise awareness and solidarity ahead of the 30th, and to raise money for Age UK into the bargain. Please help us to get them as high up the charts as we can". You may not even be in a pension now but one day you will want to belong to a scheme that is secure, affordable and will look after you (and your partner). The existing public service pensions are benchmarks for all schemes. Unless we win this fight then everyone’s future will be at risk. Ask yourself if you want to end your life living in poverty? Never forget that not a penny of the money that ministers are trying to take from pension schemes will go towards improving them, instead it will simply all go to the Treasury to pay for the excesses of the bankers. Enough is enough. Circle Housing Group Headquarters in Islington (Circle House 1-3 Highbury Station Road, London N1 1SE – 3 minutes walk from Highbury & Islington station). London E1 1ND – 3 minutes walk from Aldgate East). We will also be organising lobbies, leafleting, petitioning and visits to other picket lines. After the picket we will go and join the TUC regional rally at the Embankment, SW1. It is expected that all schools will be closed. So please bring your children to the picket line. If this is impracticable then join local UNISON picket lines, NHS hospital lunch time protests and rallies where you live. Check out our website for FAQ on the Strike and we try to post links to as many events and major picket lines in the South East as we can. Finally, I understand that for many UNISON members, this will be the first time they have ever been involved in an industrial dispute. If you do have any concerns then please get in touch with your local stewards or the branch. Steve Webb MP (Minster for Pensions) keynote address. I came in during the end of the panel discussion on "Fiduciary duty for Trustees". Which in the exciting world of pensions is a "hot topic". It use to be the case that Pension Trustees were told that they could not consider any other investment issues except maximising financial returns. This has recently been turned on its head. As panel member,Thompson's solicitor Ivan Walker put it, there could be a breach of your duties as a trustee if you do NOT consider environment, social and governance (ESG) issues. Will Oulton from Mercer pointed out how many companies boast about their Corporate ESG activities yet when you ask them about their company pension fund ESG you get blank looks. Christine Berry from Fair Pensions asked trade union pension trustees to reclaim their funds from outdated dogma which suits the interests of the financial services industry. I'll post further on the conference when I can. A great video by Ken about fares. Please watch. Nuf said! this year's summit is "Leadership in challenging times". I missed the morning session due to my ward sugary, but arrived in time to hear the keynote speaker, Bernard Hogan-Howe, the new Commissioner of the London Metropolitan Police. Who I have not heard speak or be interviewed before. I don't think that he started off that well by saying if Police numbers in London are reduced due to budget cuts "he will not be defeatist", which is hardly the signal to send before the budget is finalised. Also he promised a "total war on crime" then immediately said "without being violent or aggressive". I'm not sure how you can have a "total war" with criminals without being at least a little bit "aggressive"? He improved as he went on. He handled himself well in the Q&A. Answering hard questions on hassling innocent photographers, the student protests and "baton rounds" with honesty and candour. He also knows how to tell a joke. I think by temperament he is a no nonsense "say it as is it" northerner, a "Coppers' copper"who can also walk and talk. We're see how he gets on with a job that is potentially a poisoned chalice in so many ways. Anyway compared to the evil one guest speaker last year - he was a great improvement! I will post on the summit workshops later this week. 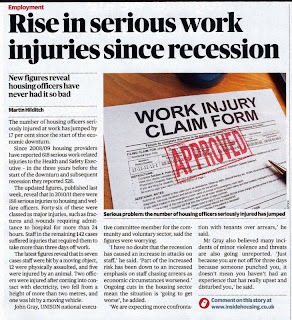 Inside Housing yesterday highlighted Heath & Safety Executive figures which show that serious injuries have jumped 17% since the recession. In the last 3 years there was 618 reports while in the 3 years before the recession there were "only" 528. This includes 46 "major injuries" requiring hospitalisation for more than 24 hours. Inside Housing rang me early this week for a comment. 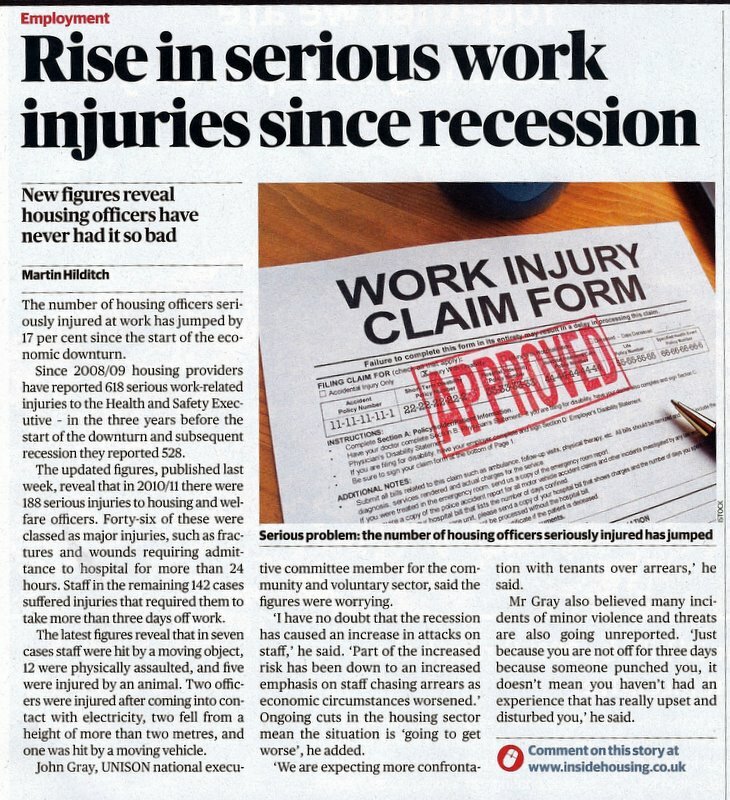 They reported my response that these figures were "worrying" and I had no doubt that there had been an increase in assaults on staff since the recession. Many of our residents have lost their jobs and a far higher number have seen pay cuts and reductions in hours or overtime. This has resulted in rent arrears which has put pressure on staff to reduce which inevitably puts housing workers at risk. I also think redundancies and other staff reductions in Supporting People contracts have increased risk. While the overall increase in the insecurity many feel about their jobs has meant that people are rushing to complete tasks, taking risks and not always thinking about their safety - which may explain the increase in other injuries. I am in any case convinced that apart from the reporting of the most serious injuries, that there is a massive under reporting of all forms of accidents and injuries in our sector. Some (not all) Housing organisation have a "blame" culture if a member of staff is assaulted. Incredibly they blame the injured member of staff for "not being professional enough". So workers don't bother reporting incidents, especially verbal abuse or threats. While other workers think that reporting an accident is a waste of time since they think "nothing will be done" - so why bother? I also had a moan to Inside Housing about the increase in stress at work due to the recession and the huge problem of "long hours" especially amongst managers. Not only does this make them ill but you get "knackered managers syndrome". Managers who are so tired that they have poor judgement and make bad decisions. Which makes things worse for everyone. Hopefully Inside Housing will return to this problem. in This picture is from Monday's public meeting organised by the National Landlord Association NLA) which was held in Stratford Circus, E15. Newham Mayor, Sir Robin Wales is responding to a question. This debate was about Newham Councils proposal to consider licencing all private landlords in the borough. This is in response to concerns about Anti-Social behaviour and overcrowding. Toby Lloyd from Shelter who are backing the scheme also spoke. I missed the beginning of the meeting. It was a little bit lively at times. You can check out the video of this meeting at the NLA website here and make you own mind up on the arguments. I think you can guess my initial views on this proposal but there is a formal consultation process going on at this moment so I will wait until this is completed. Picture is from the very successful London UNISON pension strike briefing on Tuesday. The room was packed with reps from all over London and all parts of the union. There was standing room only. Regional Secretary Linda Perks is seen hammering home the importance of successful strike action to save members pensions and how we need to organise to win. I was impressed with the mature and constructive comments and questions made. Anyway, overwhelmingly a good solid, purposeful and determined meeting. While we all hope for a negotiated settlement, if we don't get one, roll on N30. 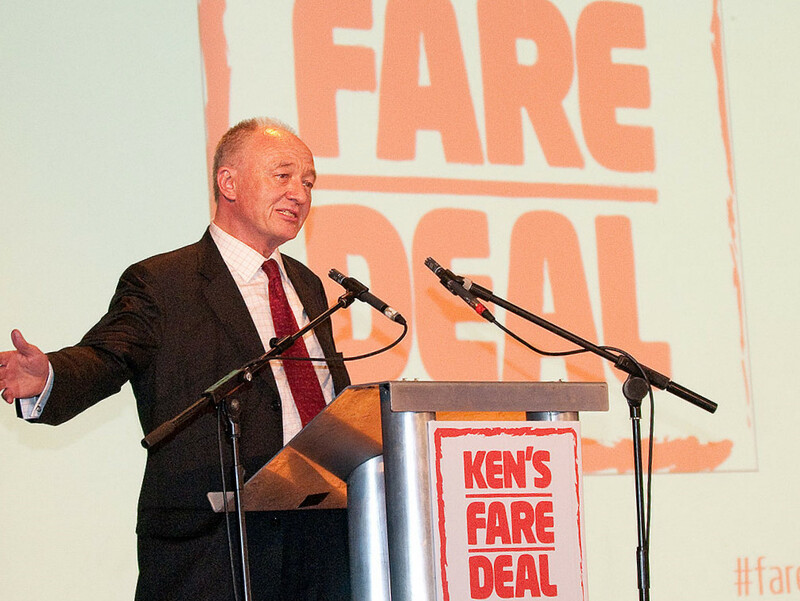 From UNISON Labour Link - Ken Livingstone has announced details of his ‘Fare Deal’ Rally to bring together Londoners who are campaigning for fairer fares. I’ve felt this week wasn’t as tough as last. Probably because there was only one run involving “maximum effort” reps. I bought a Timex “Ironman 30 lap” watch from Sweatshop for £50 to help me time the reps and recovery walks. It came with the most useless set of instructions I have ever come across. Despite being told by the assistant that this watch could programme reps I have no idea how to do it. So I’m taking it back. “Run of the week” was on Sunday. The weather was marvellous for the time of year. I started off walking at Angel Pond in Wanstead flats, past the site of the old bandstand where Mosley and his fascist thugs use to try and hold open air meetings in the late 1930’s. Then started warm up jogging past the amateur footballers until I reached the pub “The Golden Fleece”. One of the better pubs in Newham. After stretches I started the 35 minute run towards the City of London Cemetery which is one of the largest in Europe. I ran in between the Cemetery and the Railway line. Turned left, past the allotments and along the Roding Way for a little while then into Wanstead Park. Then I got chased by a dog which nipped my left ankle. It didn’t break the skin and was more of a shock than painful. After many years of jogging I don’t think I have ever actually been nipped or bitten before even thought there has been a few close calls. Anyway I don’t blame the dog, rather the completely useless owners who just stood there with their mouths open like goldfish and didn’t even have the grace to apologise. 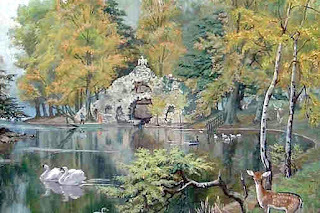 I carried on along the Ornamental Water and went past the Grotto (see painting) built 1761 and the site of a Roman-British temple. Up the Long Walk to Warren Road then down and past the ponds (where a German V1 landed in 1944 killing a solider and his girlfriend) into the flats again. The 35 minutes finished a few minutes from Angle pond and I jogged the rest of the way home. I am running the London marathon next year using the official advanced training programme and will be raising funds for Homeless Youth charity "Alone in London". Family Mosaic Housing Association "to sack 1000 workers"
Branch press release "UNISON condemns housing association who intend to sack their workforce of 1,000 in London and Essex. 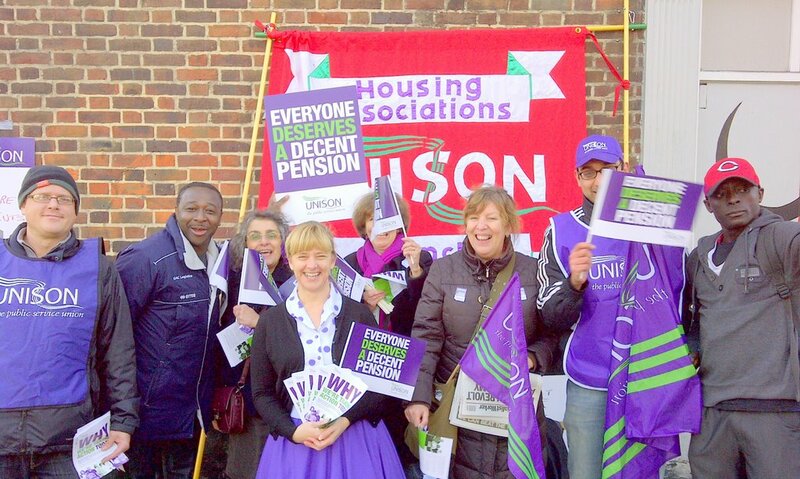 London and Essex based housing association, Family Mosaic, has notified UNISON that it intends to dismiss approximately 1,000 staff in their social care and support division unless they accept massive cuts in pay ranging from hundreds of pounds to nearly £11,000 per annum. In addition, Family Mosaic want to increase the working hours of all front line staff - general housing and care and support – from 35 to 37.5 hours. Family Mosaic will be writing to the affected staff to ask them to sign new contracts. If they refuse to sign the contracts, Family Mosaic will sack them. London UNISON Regional Organiser, Colin Inniss, said: “With a £34 million surplus for 2010/11 and £33 million for 2009/10, Family Mosaic’s funds are amongst the very best in the sector. In fact finances at Family Mosaic are so good that they have been able to purchase Hyde Housing’s entire care and support subsidiary, In Touch. Yet at a time of high inflation, they want support staff to take salary cuts of up to 35% and all front line staff to work a further 2.5 hours or else face dismissal. That’s bad news for those members and their families; it will inevitably affect staff morale at Family Mosaic and lead to a diminishing quality of service delivery. After the appalling debacle at Southern Cross, this type of bad publicity is the very last thing that the care and support sector needs right now“. 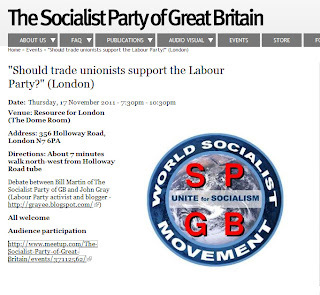 A reminder that I am due to be debating "should trade unionists support the Labour Party?" 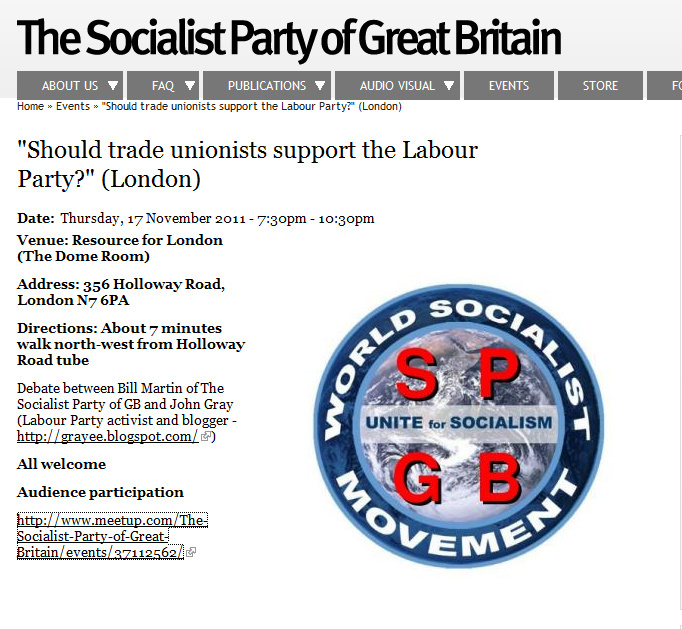 this coming Thursday 17 November with Bill Martin from the original British "Socialist Party" (see their website screen print left). This will take place in Resource for London Building 356 Holloway Road, London N7 6PA. Come out of Hollway Underground station (Victoria Line) turn left and it is 7 minutes walk to centre which lies in between Waitrose and Weatherspoon. The centre is also by co-incidence the home of my trade union branch office. Starting at 7.30pm and probably finishing at around 9pm. Format will be presentations by both Bill and I on subject, followed by 5 minute rebuttal, 30 minute Q&A then 5 minute windups. I have no idea how many people will turn up. An online comrade from Leeds who is a Unite activist and a new Labour Party Councillor is hoping to make it as well as my latest surprise "best friend ever"! This morning I went to the Remembrance Sunday Service at the West Ham Parish Church of All Saints. This is one of four "official" Remembrance events taking place today in Newham. The Revd Stennett Kirby took the service. It was as usual a touching and moving occasion. This year Captain Ben Firth from our local West Ham Territorial Army Unit, 7th Rifles, spoke in full dress uniform from the pulpit. Ben talked eloquently about his experiences in combat in Helmand Province, Afghanistan. In 2006 he went out aged 25 as an infantry platoon commander responsible for 30 men on a 6 month tour. Ben also spoke about the hardship and intensity of combat, of 9 hour long gun battles with the enemy, of improvised explosive devices (IEDs) and the inevitable resulting casualties. But he also talked about holding regular tribal meetings with local leaders, establishing trust, providing them with a generator to bring electricity and giving toys to local children. He said it is the winning of these battles of hearts and minds that actually makes serving our country so worth while. Just to explain that during the last week or so I have been experimenting with different blogger templates. I had got complaints that the previous "classic" look was becoming too slow to load. It was also about time I had a change. I suppose I should migrate to word press or buy a site but cannot face the hassle. At the moment I am using the "simple" blogger template which I think looks okay. The platform seems a little unstable at times but I'll see how it goes. Let me know if you are having a problems loading or if you think the new template just doesn't work or look right. Labels: blogger, John's Labour Blog, template, word press. It seems that former Councillor and religious fundamentalist Alan Craig has got bored with stirring up religious hatred over so called “Megamosques” and has now started picking on Gays and Lesbians. In an article published on his blog (and to its shame The Church of England Newspaper) he has compared Gay and Lesbians activists to Nazi, storm-troopers and to the Gestapo (Hitler’s secret Police). He even uses the term Gaystapo. Now, it is a free country and he is perfectly entitled to hold such medieval views on homosexuality no matter how abhorrent all right minded people think of them. 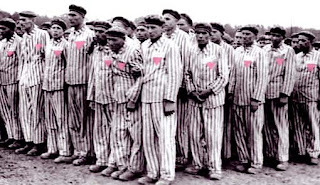 But to accuse them of being Nazi's and Gaystapo is not only an unforgivable insult to the memory of the tens of thousands of gays who were gassed and murdered in Concentration camps during World War 2 (see picture above) but in the lead up to Remembrance Sunday it is also in my view a slur on British war dead. 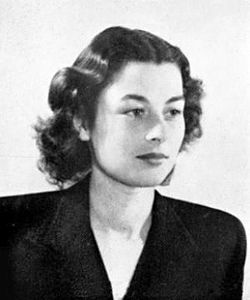 Such as Squadron Leader Roger Bushell (left) who was part of “The Great Escape” and one of the 50 unarmed allied airman shot in cold blood by the real Gestapo - or British Special Operation Executive heroine Violette Szabo (right) who was brutally tortured by the Gestapo and later murdered in a Nazi death camp. Nazi's and the Gestapo in particular were quite simply utterly vile and utterly evil monsters. To compare Gay activists with such psychopaths in order to score cheap political points is just repugnant. To compare them with the animals who murdered war time British heroes and heroines is a disgrace to their memory. Craig thinks that his sort of Christianity in this country has a hard time. I can agree that sometimes people of faith are seen as easy targets for unnecessary mockery and ridicule. But as pointed out in the comments on his blog, no-one in recent history has been kicked to death in Britain just for being a Christian. While time and time again we see that Gay people are targeted, beaten and murdered just because of their sexuality. Craig doesn’t appear to care that publically denigrating Gays in such a way may result in further bloodshed. Since he must know that expressing his views in such ways will be counterproductive to his "cause" I am forced to conclude that this is actually all about Craig. He is just a self seeking publicist who will do anything, no matter how revolting, just in order to draw attention to himself. On lighter note here is a link to the video I took of Craig when he was soundly defeated as a Newham Councillor and Mayoral candidate last year. 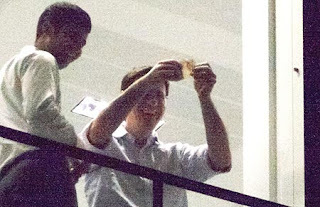 The ordinary people of Newham showed him what they thought of his extremism and bigotry. 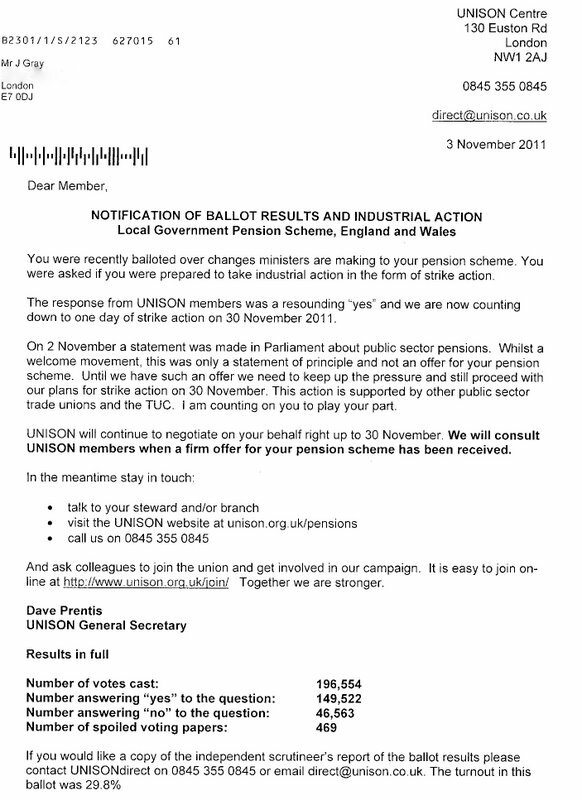 This morning I received this letter (double click to bring up detail) from UNISON confirming the ballot result over the Local Government Pension scheme. The recent Parliamentary statement on public pensions was mentioned and welcomed. However, this is NOT an offer and we must plan for strike action on November 30. 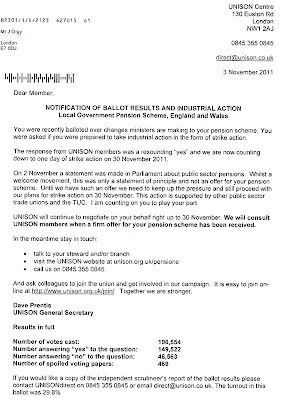 The letter stresses that UNISON is committed to negotiation right up to this date. The recent daft suggestion by Tory Minister Frances Maude that there should only be a 15 minutes strike on November 2011 since "talks are ongoing" has been rejected by all the Unions. The Government has had 9 months to come up with a firm offer and have failed consistently to do so. Interestingly there were 4 Council by-elections last week in Islington, Redbridge, Birmingham and Ipswich. The turnout for these elections was 23%, 24%, 33% and 36% respectively. By coincidence this is an average turnout of 29%. For some strange reason I have not heard any Government minister call for legislation to overturn these results and have minimum turnouts in such ballots? "On the eleventh hour of the eleventh day, of the eleventh month...We shall remember them". Picture (double click) is from this morning's beautiful service at the Central Park Cenotaph in East Ham, London. Local MPs Lyn Brown and Stephen Timms together with Newham Mayor Sir Robin Wales have just laid their wreaths. The "Last Post" and "Reveille" was played by a pupil from St. Bonaventures School. Children from local schools also read out loud poems and prayers - the exhortation "For the Fallen", the lovely "Forgotten Members of the Commonwealth" and the classic "Flanders Field". The hymn was "Abide With Me". Then words of thanks from Sir Robin followed by the National Anthem. Afterwards veterans from the British Legion spoke to the children about Remembrance day, the Cenotaph and red poppy's. There was a reception later in the Town Hall which due to union commitments this year I had to unfortunately miss. 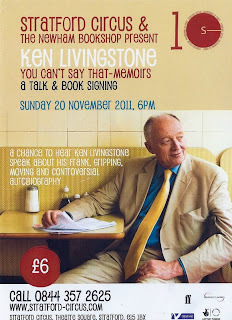 On Sunday 20 November Ken Livingstone is coming to Stratford Circus in Newham for a "talk and book signing". meek, mild and completely uncontroversal. Check out here my favourite photo of Ken in Newham during the last GLA campaign. Good news today that the School Headmasters unions have voted for strike action on 30 November to save their pensions. This is I understand the first strike action by Heads in over 100 years. There are at least 13 different unions planning to take action. So far we are planning at least two branch picket lines. One in North London and one in South London. UNISON will be calling out members to strike in a number of Housing Associations. We are also asking for support and solidarity action for those who are have not been currently balloted. There may be more picket lines but for many members this will be the first time they have ever been on strike. So it is vital that we make sure that we hold organised and effective pickets. I am also trying to help co-ordinate action within my employer for those members who are not part of my branch and those in our sector who are in other unions. All this in a fragmented workplace and multi-employer branch/region is complicated and difficult... but not impossible. Who said life had to be easy? After the pickets we will encourage everyone to attend the regional rallies taking place up and down the country. while on a demonstration earlier this year. There is some ground opening up here for Labour as many in the party would be actively enthusiastic about employee involvement in (remuneration committees), so this could become a bit of a wedge issue, at least in my little corner of the world. Although asset managers and the investor representative bodies won't like it, there is definite interest in the idea that is starting to bubble up. More generally there is also a sense that patience is running out. There are only so many times you can call on the executive class to exercise restraint and they stick two fingers up. There are only so many times you can urge asset managers to take a tougher line and they shrug their shoulder and say there's nothing much they can do about it. Of course we've been through all this before, and nothing has changed, so therefore shouldn't we just expect it to carry on? Well, maybe, but it was a former FTSE chief exec who said in a conversation recently that the position of executives taking ever more out of companies as their reward was analogous to the position of the unions in the 70s. People moaned for a long time about TU power before anything happened, but when change came it was very significant. I now think that we could see some fairly radical reform in respect of executive pay, whether it happens under the Coalition or the next Labour govt in 2015 ;-) I suspect it will go significantly further than the policy positions adopted by most of the 'professional' governance bodies because most of them are still stuck parroting the disclosure+shareholder empowerment model (which hasn't worked very well). There has been an opportunity since the crisis to think very differently, our sector hasn't really done that. Don't be surprised if what we thought were the ground rules of the exec pay debate get overtaken by events". Just to let people know who don't at first recognise me or are giving me odd looks -that I haven't joined either the USMC or the Vinnie Jones fan club but due to an unfortunate misunderstanding at a Merton Hairdresser on Monday (its a long story but fundamentally my fault) I have been left looking like Newham Big Bad Mikey (right of picture) or even Brother Pearce (even more right). Some of my so-called Labour comrades at Council meetings last night (gleefully) suggested that this new look may help me go faster in my marathon training!!!! At a trade union meeting this morning it was even put forward that I should have N30 and the UNISON logo shaven into what is left! On Thursday there is an important by election in Tory run Redbridge Council in East London. The Labour Candidate is Debbie Thiara (picture left). This is in a mixed Labour/Tory ward. Newham Labour Party activists have been helping out during the campaign. Polling day is this Thursday, 10 November, and the polls are open from 7am-10pm. 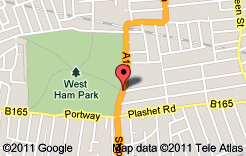 To help, please go to 105 Headley Drive, Ilford, IG2 6QL (map here - nearest tube is Gants Hill or Newbury Park). Organiser Matt Goddin on 07932 691 809. UPDATE: Labour win "Newly elected Cllr Debbie Thiara will now join Conservative Cllrs Ruth Clark and Vanessa Cole representing constituents in the ward. 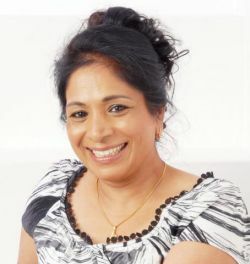 She polled 1,436 votes in yesterday’s election, with Conservative candidate Melvyn Marks getting, 1,071 votes. No other candidate reached three figures in the count at Redbridge Town Hall, High Road, Ilford. Liberal Democrat Christopher Greaves was third with 87 votes, United Kingdom Independence Party candidate Paul Wiffen was fourth with 83 votes, ahead of the Green Party’s Clive Durdle with 64 votes and the British National Party’s Daniel Warville who got 34 votes. Turnout was 24.6 per cent". Today is the 94th anniversity of the Bolshevik (aka October) Revolution; the 132nd Birthday of a certain Lev Davidovich Bronstein (and some other bloke's birthday). I thought I would mark the occasion with the Red Army Choir - The song about the 27th division. "The song describes history of the 27th division from Civil war to the end of the Great patriotic war. Week 2 of my London Marathon training went pretty well. The timed sprints are very tough, I'm not use to running at "maximum effort" but understand that it is necessary. Touch wood - no broken bones! Right next door to the Chapel is a large Tesco superstore. What many people do not realise that this use to be a workhouse for children built by the Bethnal Green Poor Law Guardians. It was a very big site and you must wonder how many thousands of children lived here and what their lives must have been like? This report is pretty disturbing. Under the Green Man roundabout into Leyton flats then cross country behind Snaresbrook Crown Court before coming out at Eagle Lake. Along Wanstead High Street, running the gauntlet of the Farmers Market and all those stalls cooking delicious smelling sizzling sausages and bacon butties. Across George Green and then eventually back into Bush Wood and then along Wanstead Flats to home. A good run. The candidate for this week must be the NEC member for Brighton Pavillion who in this post on Tuesday did the Tories dirty work by telling lies and slagging off Newham Council and London UNISON Labour Link. 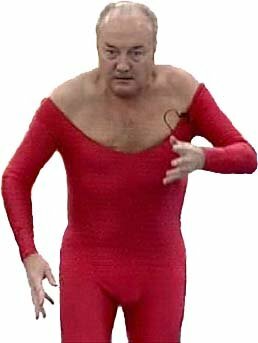 It is a shame that he is wants to try and destroy unity over the Public Service Pensions and is too cowardly to have a go at people directly - but what else do you expect from these people? Ultra left extremists of course consider that they are the chosen ones who have seen the light and therefore think us proles are just too thick to know what is good for us. The selfishness and arrogance of such people is simply breathtaking. I cannot understand such disloyalty? I can only conclude that they do not want national strike action to take place since they prefer that nothing is done so they can just continue in their comfort zone of constantly attacking the union. The truth of the matter is that Newham Council passed a supportive motion unanimously in May over pensions and the reason why other London Councils are now passing similar motions is down (in part) to the work that UNISON Labour Link (regional and national) has done with London Councils. I do however enjoy the irony of someone who I am reliably told by local elected Labour Council comrades is considered a figure of ridicule complaining about anyone else not doing their bit. I of course couldn't possibly comment. Next Weekend is the start of the Writeidea free Reading festival taking place in Tower Hamlets (11-16 November). Check out details here. 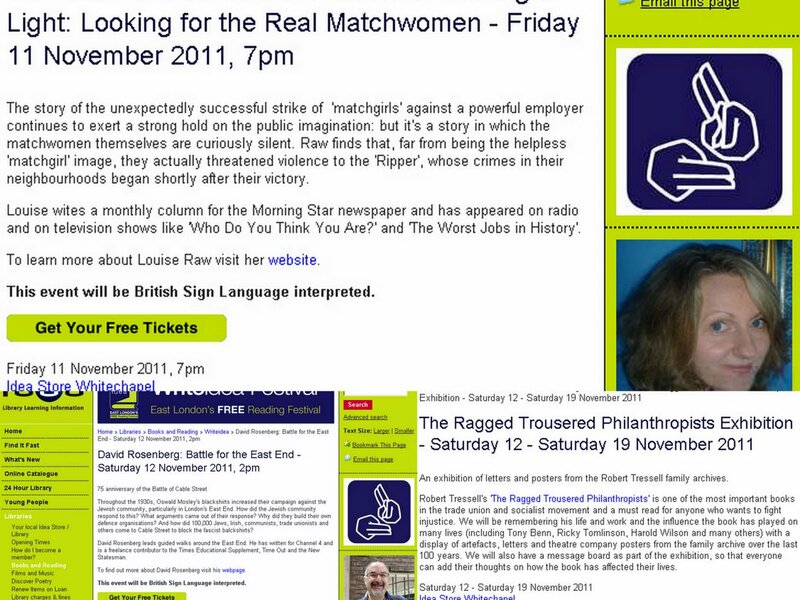 I was interested to read that the "match girls" threatened "Jack the Ripper"! Hat Chris Weavers and the Tower Hamlets Labour Party e-newsletter.